IFMSA has two General Assemblies per year, one in March, the second in August. Each of them welcome over 900 delegates and over 20 externals and partner organisations. One of the national members organisations is elected by the IFMSA to carry the task of organizing the meeting; hence the location of the general assemblies changes every time. The most recent ones were held in Tanzania, Montenegro, Mexico, Malta, Macedonia, Turkey, Taiwan, Tunisia, Chile, United States, and India; the upcoming ones will be in Egypt (March 2018) and Quebec (August 2018). The Federation has subdivided its National Member Organizations in five regions: Africa, Americas, Asia-Pacific, Eastern Mediterranean (EMR) and Europe. Each has their own regional meeting, held at different times of the year, and welcoming between 150 and 400 participants. IFMSA-Jo is part of the Eastern Mediterranean Region (EMR) and has had the honor of hosting the EMR Meeting twice since its foundation in 2006, once in 2012 and again in 2016. 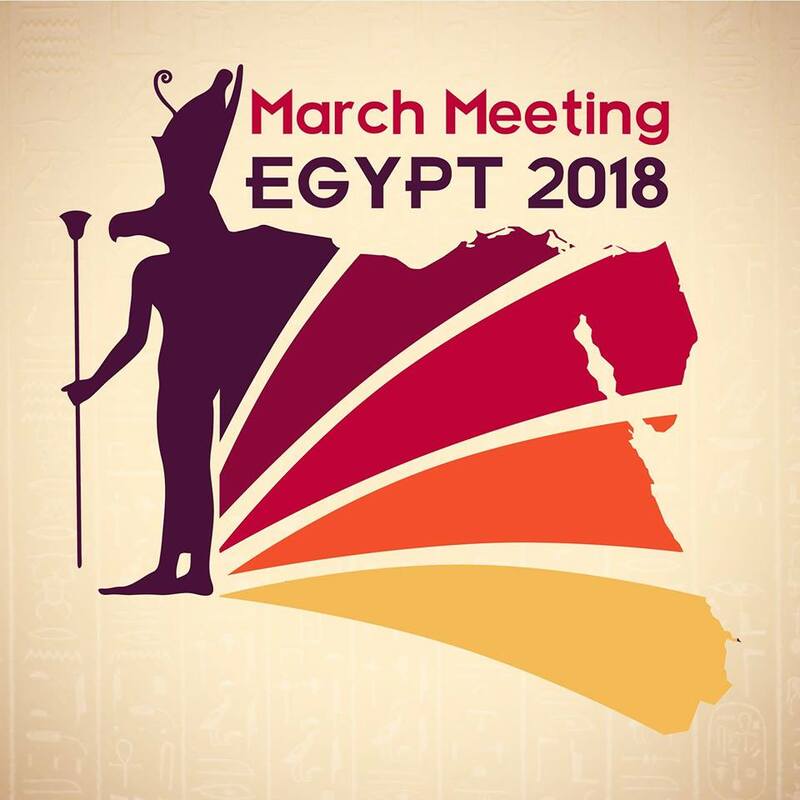 The most recent EMR Meetings took place in Kuwait, Egypt, Jordan, and Lebanon; the next EMR Meeting will be held in Morocco (February 2018). Apply to join IFMSA-Jo in Morocco here! March 2017, the IFMSA-Jo flight was ready to take off again; destination? Budva, Montenegro! Jordan was well represented at the IFMSA March Meeting 2017 General Assembly with six delegates accompanying our own Jordanian gem, the IFMSA Liaison Officer to Student Organisations. The delegation represented Jordan in the plenary, the biggest decision-making body in IFMSA, as well as Standing Committees Sessions, and the Presidential Sessions. IFMSA-Jo participated in the Rex Crossly Award with our national Smoking Awareness Campaign "Put it Out! Before it Puts You Out!" and won second place over all activities presented from all over the world! IFMSA-Jo participated in the Exchange Fair to promote our exchange program to the world, an event that sets plans for NMOs to sign exchange contracts in the upcoming August Meeting. IFMSA-Jo's delegation, with all of its members, attended the EMR Regional Sessions. The EMR Regional Sessions aim to orient and take decisions about the role of the EMR in the growth of IFMSA; this was more apparent than ever in the Sessions that involved the EMR Strategy for 2017-2020. IFMSA-Jo participated in the Rex Crossly Award with our national Smoking Awareness Campaign "Put it Out! Before it Puts You Out!" and won second place over all activities presented from all over the world! IFMSA-Jo participated in the Exchange Fair to promote our exchange program to the world, an event that sets plans for NMOs to sign exchange contracts in the upcoming August Meeting. With both our NEO and NORE present, a spotlight was shining over Jordan at the exchange fair. MM2017 witnessed a moment that will be carved in history for IFMSA-Jo. Ms. Batool Wahdani was elected as IFMSA Vice-President for External Affairs, making her the first Jordanian in history to hold a position in the IFMSA Executive Board. Jordanian Delegation to the 66th March Meeting General Assembly of IFMSA - Budva, Montenegro. Batool Wahdani, IFMSA Liaison Officer to Student Organisations, and previous NMO-President, presenting her candidature before being elected as IFMSA Vice-President for External Affairs. Ahmad Abbadi, SCOPH Regional Assistant for the EMR receiving the certificate for second place in the Rex Crossley Awards for our national Smoking Awareness Campaign "Put it Out! Before it Puts You Out!" E to the M to the R! Yazeed Khrais, member of the MM17 Constitution and Credentials Committee. IFMSA-Jo were trusted by all NMOs to keep the SCOPE banner until the next GA. Since March 2011 IFMSA-Jo has been holding a bi-annual meeting under the title; the National General Assembly (NGA) where students meet, discuss and brainstorm on ideas of voluntary activities that have been the cornerstone of the organization since its dawn. A plenary session is also held within the NGA as the main decision-making body of the organization where an incredibly well organized meeting of the minds decides its future and direction of where it is headed thus making it vital to the organization. The 11th National General Assembly (NGA XI) took place on March 24-25 at the Hashemite University. NGA XI was held under the theme ‘Road Traffic Accidents’ where all participants were given training on CPR and First Aid management during car accidents and other emergency situations. One of the main activities during any NGA are the Standing Committee Sessions where each National Officer and Local Officers meet up with members to discuss past projects, and brainstorm for activities in the future. What made NGA XI even more outstanding is the fact that a New Members’ Session was added to the agenda. IFMSA-Jo Alumni Qutaiba Sabha and Mutaz Abbad were in charge of introducing new members to everything they needed to know about IFMSA-Jo, its Standing Committees, and how to start a new project. Of course, it wouldn’t be an NGA without a heated debate in the Presidential Session where the Team of Officials from each Local Committee gathered together with the National Team of Officials to discuss amendments to our Constitutions and Bylaws, later on, these amendments and motions are voted on in the Plenary Session where anyone can attend. The highlight of the Presidential Session and Plenary Session was giving Yarmouk University Local Committee a full membership in IFMSA-Jo! In addition, the 13th NGA will be hosted by them! The Theme Event was where one of the NGA sponsors, Jordan Paramedic Society, gave the training session to everyone regarding pre-hospital management of trauma in preventing the progression of injuries titled ‘Introduction on Compressions, Airway, Breathing and Sequence of CPR’. As for the Presentation Fair, MedTalks took home the first place award. We were delighted to have Regional Director of the Eastern Mediterranean Region, Sharif Ba Alawi, and Liaison Officer on Student Organisations and Vice President of External Affairs-elect, Batool Wahadani attend our NGA as well. All of this could not have been made possible without the help of our generous sponsors: Jordan Paramedic Society, Language Generation Center, the Public Security Directorate and Al-Rouq Training Center. Finally, this NGA was organized by a dedicated team who worked relentlessly to put it all together. Eighteen delegates from IFMSA-Jo took off to Lebanon on February 1st, 2017 to represent Jordan at the thirteenth annual Eastern Mediterranean Regional Meeting. The delegation actively represented Jordan in all the Standing Committees sessions as well as the presidential session. IFMSA-Jo participated in the Activities Fair with two projects, Obesity Awareness Campaign as well as Stroke Awareness Campaign with the latter managing to win third place atop all the activities presented from all countries across the region. IFMSA-Jo also participated in the Exchange Fair to promote our exchange program to the region. IFMSA-Jo at the SCORA Session. IFMSA-Jo's delegation represented Jordan at all Standing Committees' Sessions including SCOME, SCOPE-SCORE, SCOPH, SCORA, AND SCORP. IFMSA-Jo also had four members of our Executive Board at the Presidential Session. Our members effectively shared their ideas in the sessions that aim to orient and take decisions about development of the entire region. IFMSA-Jo participated in the Activities Fair with two projects, Obesity Awareness Campaign as well as Stroke Awareness Campaign with the latter managing to win third place atop all the activities presented from all countries across the region. IFMSA-Jo presenting Stroke Awareness Campaign at the Activities Fair. IFMSA-Jo participated in the Exchange Fair to promote our exchange program to the region. Promotional material about our academic medical programs were shared with all the delegations across the region. We didn't forget to brag about the wonders of nature that our country has, sharing everything about the most beautiful attractions in Jordan. IFMSA-Jo was represented by four delegates in the SCOME sessions. A part of the IFMSA-Jo delegation visiting downtown Beirut during the social activities of the EMR. Part of the Jordanian delegation during the cultural night at the EMR where we presented the Jordanian culture, performed the Jordanian Dabke, and cooked Mansaf for everyone. The entire Jordanian delegation, along with the two Jordanian regional assistants for the EMR, taking a memorable picture in Zeitouna Bay, Beirut. IFMSA-Jo presented Emergency Room project during the Activities Presentation. The Jordanian Delegation lining up for a picture just before the opening ceremony of the EMR. A group picture at the end of the joint exchange sessions at the EMR; IFMSA-Jo was represented by three delegates. The sessions were lead by our very own Jordan-made SCOPE Regional Assistant for the EMR. A group picture at the end of the Public Health sessions; IFMSA-Jo was represented by two delegates. The sessions were lead by our very own Jordan-made SCOPH Regional Assistant for the EMR. A group picture at the end of the SCOME sessions; IFMSA-Jo was represented by four delegates. A group picture at the end of the SCORP sessions; IFMSA-Jo was represented by three delegates. a group picture at the end of the SCORA sessions; IFMSA-Jo was represented by two delegates. A group picture at the end of the Presidential sessions; IFMSA-Jo was represented by four delegates.